A score of 4 means that resident's in Tecumseh, OK have access to speeds that are less than par in Oklahoma. Don't expect to be streaming 4k videos on multiple devices, but don't fret because your internet choices could be worse. Tecumseh, OK has a total of 15 Internet providers including 2 Cable providers, 3 DSL providers, 9 Fiber providers, 5 Fixed Wireless providers, 1 Mobile providers and 2 Satellite providers. The table below shows the available plans and pricing for HughesNet in Tecumseh, OK. The table below shows the available plans and pricing for Exede in Tecumseh, OK. The table below shows the available plans and pricing for AT&T U-verse in Tecumseh, OK.
Windstream Corporation offers internet download speeds up to 10 mbps. The table below shows the available plans and pricing for Windstream Corporation in Tecumseh, OK. The table below shows the available plans and pricing for Suddenlink Communications in Tecumseh, OK. The table below shows the available plans and pricing for @AtLink in Tecumseh, OK. Starting at $79.00 per month for internet service. The table below shows the available plans and pricing for Cross Telephone Company in Tecumseh, OK. Starting at $25.00 per month for internet service. 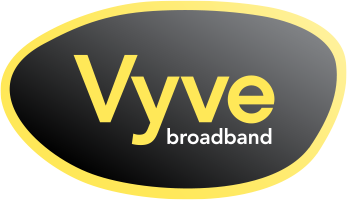 Vyve Broadband offers internet download speeds up to 200 mbps. The table below shows the available plans and pricing for Vyve Broadband in Tecumseh, OK. The average cost per month for internet in Tecumseh, OK is $39.19. There are 15 internet providers in all of Tecumseh, OK.
Tecumseh, OK offers the highest speed of 1,000 mbps with Suddenlink Communications. The lowest price for internet in Tecumseh, OK is $25.00 with Vyve Broadband. Tecumseh, OK is located within Pottawatomie county.